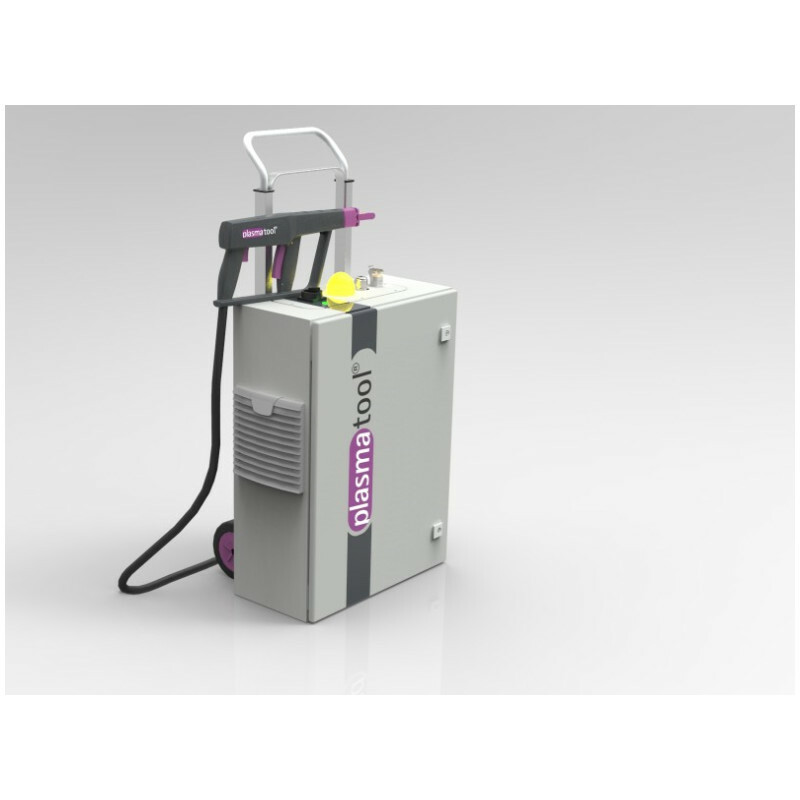 High-efficient plasma handheld device for surface treatment. Ergonomically optimized for safe operation. Surface optimizing prior to gluing or printing is important. The Plasmatool makes chemical primers or mechanical treatments unnecessary. Improved wettability and adhesive force can be achieved at components, which cannot be handled automatically due to size or mobility. The Plasmatool is supplied by a single 230 V power source. 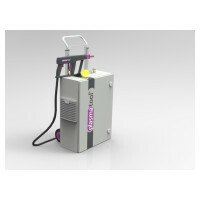 An integrated air compressor supplies the plasma generator. The Plasmatool can be used everywhere thanks to the trolley design. Two-handed operation and a signal lamp protect and warn the operators and third parties. The handling of the Plasmatool is optimized for easy usage and maximum operator´s safety. No external gas supply has to be present. Completely autonomous air supply is integrated inside the device. The operator is independent of any compressed air supply.